There were a Total of 177 Residential Home Sales in Bells Corners in 2018 & the Average Price was $374,524, that's up 25.5% over 2017. Looking at the numbers in the table above you can see that the number of sales per year has remained steady, but the fluctuations in price were quite erratic throughout the years, with big gains followed by decreases in average pricing for the Bells Corners area. This area saw some huge gains in 2002, 2005 and as recent as 2015, with a 19.2% increase in prices. That is an increase of over $50,000 in just One year ! 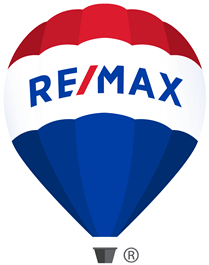 Highest and lowest priced home sales in Bells Corners, 2017 ? There were 6 mobile homes sold in the Bells Corners area, ranging from $73,000 and $150,000 in 2018, but if we remove them, here are the numbers for residential homes. The Two Lowest priced sales were on Forester Crescent, these were 3 bedroom condos that both sold for $148,000. The Three highest priced home sales here were on Spring Cress Drive, Foxglove Place and Timbercrest Ridge. These were all detached 2 storey houses with 4 to 7 bedrooms, and all of them sold for between $1,225,000 up to $2,700,000. How long do homes take to sell here? For 2018, it took 60 days for a home to sell, on average, and seller's got 96.68% of their asking prices.